The Galion 450U is a heavy-duty body that "beats the cold" during low temperature use. The 450U is well suited for aggregate hauling/spreading, construction and batching work... at any time of the year, anywhere on the globe! This heavy-duty body features full depth rear corner posts and bolster, a 6-panel tailgate and continuous weld throughout. Available in 10' inside length, 84" inside width, 30" sides and 40" ends. 10 gauge 100K PSI yield steel with material shedding boxed top, full depth 15" rear corner post, three intermediate vertical side braces, 10" front and rear board extension pockets and full length tarp rails. 3/16", PL 400BHN steel with 2" floor to side radius. 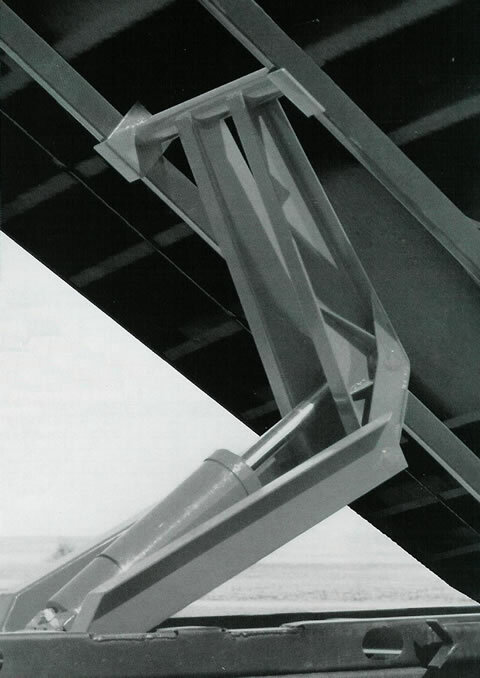 8 gauge high tensile steel construction with two bend top flange and one formed in place intermediate "V" brace. 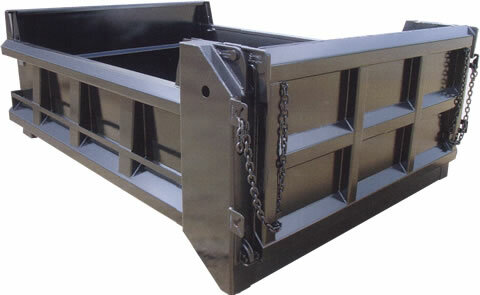 8 gauge high tensile steel, 6 panel design with full perimeter box bracing, two intermediate vertical braces and one intermediate horizontal brace, double acting design with long chains and two sets of banjo eyes and full width lower tailgate pin. Meets all requirements of FMVSS108 with oval stop/tail/turn lights recessed in rear posts. All lighting is recessed, shock mounted, complete with factory wiring harness. 9" formed trapezoid longitudinal, 3/16", 100K PSI yield with heat tunnels front and rear of body, lubricated front and rear cross shafts and 3/16" full width rear bolster. All Galion 450U bodies are shipped with a "body up" warning light and OSHA required back up alarm.